This is a response in relation to an article by Toby McDonald, Why don’t our Gaelic speakers speak Gaelic?, which appeared in the Scottish Mail on Sunday on the 27th of May. We publish this in both Gaelic and English for you. As a group of Gaelic speakers involved in the daily battle that is using and promoting the language we were disappointed to read petty and ill-informed slights at a sadly very necessary project to highlight the key difficulties encountered by Gaelic speakers (Why don’t our Gaelic Speakers speak Gaelic?, Toby McDonald, The Scottish Mail on Sunday 27/05/18). As we are only too aware of the ever present and overbearing promotion of the English language, it’s strange how much fulminating is done over miniscule amounts of support now afforded to our indigenous language, support which pales in comparison to the vast resources spent in trying to eradicate it over the centuries and that is far from sufficient to redress that historic injustice. Taxpayers don’t get to decide where money is spent, the budgetary pressures faced by councils don’t explain why Gaelic is always the target, to blame for all society’s ills. When was the last time Councillor Deirdre MacKay or James Price of the self-proclaimed “Tax Payer’s Alliance”went to the Opera, the Ballet, the Football or visited any of the National Galleries, Libraries or Museums? Do they have children in state schools and use the NHS or go private, do they drive or use public transport? Any number of other sectors exist which are subsidised by tax revenue and which we all either use or not could be targeted. Why is Gaelic the go-to totem, the obliteration of which would fix the potholes and reopen the play parks? The unfortunate and poorly informed remarks from Deirdre NicAoidh, appropriately a councillor for Dùthaich MhicAoidh, a place where the current lack of Gaelic speakers needs no explanation, the infamous Sutherland Clearances forcibly dispensing with them, and James Price (of everything value of nothing?) only serve to highlight the difficulty faced by Gaelic speakers, who far too regularly encounter this type of hostility from their monoglot peers and ridicule in the press. This victimisation of speakers of the language makes the choice to use it a political act of defiance. When it should be no more than a natural and normal thing to speak your own language, Gael’s are faced with the pressure to conform, a concern they will be seen as rude for possessing and using a second language, punished for others’ lack of that ability. We will do our utmost to embolden Gaels to use their language with pride and confidence, as is so evidently done by Welsh speakers, and to disregard the sneering hostility of some. For too long Gaelic speakers in Scotland have been overly accommodating and apologetic for speaking their native tongue, switching to English as soon as a non-Gaelic speaker enters the room, pointlessly transliterating Gaelic place names into meaningless English equivalents and relegating our language to second place or optional status on signs, at events and in publication across Gaeldom’s heartlands. Enough is enough. If we are serious about reversing the oppression of our language bold and creative steps need to be taken. The Scottish Government, Highland, Argyle & Bute and Western Isles Councils must all reappraise their contribution to Gaelic’s vitality, accessibility and usability. If this is done perhaps Bòrd na Gàidhlig wouldn’t need to be commissioning studies into the language’s use, that should be a given for those with the ability. We hope the outcome of this study lays bare the constant pressure to speak and use English and serves as a wakeup call to politicians that primary schooling alone is not going to reverse the deliberate decimation of the language. Mar bhuidhean de luchd-labhairt na Gàidhlig a tha an sàs anns an strì làitheil an lùib a bhith ga cleachdadh is ga brosnachadh, abair gur e briseadh-dùil a bh’ ann dhuinn dìmeas aineolach a leughadh air pròiseact deatamach gus cuid de na duilgheadasan ro luchd-labhairt na Gàidhlig a shoillearachadh (Why don’t our Gaelic Speakers speak Gaelic?, Toby McDonald, The Scottish Mail on Sunday 27/05/18). Tha sinne ro eòlach air àrdachadh smachdail na Beurla a bhrùthas oirnn gu cunbhalach, ‘s neònach dhuinn an t-uabhas de ghearan air glè bheag de thaic a-nist air a thabhainn chun a’ chànain dùthchasail againn, cuideachas nach ionnan idir ris an uabhas de dh’airgead a chaidh a chosg a’ feuchainn ri a freumhan a spìonadh thar nan linn agus nach eil idir gu leòr gus am mì-cheartas eachdraidheil sin a shàsachadh. Cha roghainnich pàighearan-cìse càit a choisgeas sinn airgead, cha mhinich impidhean buidseadaich, a tha gun teagamh ro Chomhairlean, mar a thèid a’ chòir an-còmhnaidh a chur air a’ Ghàidhlig airson gach rud ceàrr. Cuin a chaidh an Comh. Deirdre NicAoidh no Seumas Prìs bho, mas fhìor, “Caidreachas nam Pàighearan-cìse”, mu dheireadh dhan Opara, a’ Bhallet, am Ball-coise no a thadhal iad air gin de na Taighean-tasgaidh, Leabharlannan no Gailearaidhean Nàiseanta? A bheil clann aca anns na sgoiltean is an cleachd iad an t-SNS no an tèid iad ‘prìobhaideach’ mar a chanas iad, am bidh iad a’ draibheadh no an cleachd iad còmhdhail phoblach? Tha iomadh earrann ann a gheibh taic-airgid bho chìsean phoblach a chleachdas sinn no nach chleachd sinn air am faodadh tu a’ chòir a chur. Carson a tha Gàidhlig an-còmhnaidh na bun-roghainn, is nan sgriosadh tu i bhiodh na poit-thuill air an càradh is na raointean-cluiche air am fosgladh as ùr? Cha dèan na beachdan mì-shealbhach is aineolach aig Deirdre NicAoidh, comhairliche freagrach do Dhùthaich MhicAoidh, sgìre far nach fheumar an gainnead de luchd-labhairt a mhìneachadh, is Fuadaichean Olc nan Gàidheal a bhrùth a-mach iad le làmh làidir, agus aig Seumas Prìs (air gach rud luach air dad?) ach na duilgheasan ro luchd-labhairt na Gàidhlig a shoillearachadh, ‘s ann fada ro thric a thachras iad leis an t-seòrsa seo de nàimhdeas bho co-aoisean is magadh bho na pàipearan-naidheachd. ‘S e an droch-dhìol den leithid seo a nì an roghainn Gàidhlig a chleachdadh na gnìomh poileataigeach. Nuair nach bu chòir a bhith ann ach rud nàdurra àbhaisteach an cànan agad fhèin a bhruidhinn, ‘s iad na Gàidheil a tha fo impidh a bhith a’ dol leis an t-struth, a bhith mothachail air daoine a chanadh gur e mì-mhodh dàrna cànan a bhith agad, air peanasachadh air sàilleibh neo-chomas daoine eile. Nì sinne ar dìcheall na Gàidheil a dhaingneachadh an cànan a chleachdadh le pròis is misneachd, mar ‘s lèir a nithear le luchd-labhairt na Cuimrise, agus gus dearmad a dhèanamh air an nàimhdeas fachainnteach aig cuid. Fada ro fhada tha na Gàidheil an Alba air a bhith ro gharach agus leisgeulach airson an cànan dùthchasach aca a bhruidhinn, ag atharrachadh chun na Beurla cho luath ‘s a thig cuideigin a-steach aig nach eil a’ Ghàidhlig, gun fheum a’ litreachadh ainmean-àite anns a’ Bheurla gun chiall agus a’ fògradh ar cànan dhan dàrna àite no fiù ‘s na tagh roghainneil air soidhnichean, aig tachartasan agus ann am foillseachaidhean air feadh na Gàidhealtachd. Foghnaidh na dh’fhoghnas. Mas ann da-rìribh a tha sinn mun ath-ghluasad fòirneirt a dh’fhulaing ar cànan ‘s iad ceumannan dàna is cruthachail a tha a dhìth. Feumar Riaghaltas na h-Alba, na Comhairlean Gàidhealtachd, Earra-Ghàidheal ‘s Bhòid agus nan Eilean Siar an tabhartas do bheòthalachd, sho-ruigsinneachd is chleachdadh a dh’ath-bheachdachadh. Ma nithear sin ‘s mathaid nach biodh aig Bòrd na Gàidhlig sgrùdaidhean a bheir sùil air cleachdadh a’ chànain a chur air dòigh, bu chòir gum bi sinn an dùil ri cleachdadh bho dhaoine aig a bheil i. Tha sinne an dòchas gun seall toraidhean an sgrùdaidh seo am brùthadh cunbhalach air luchd-labhairt na Gàidhlig Beurla a bhruidhinn agus gun dùisg e luchd-poileataigs gu bhith mothachail nach dèan bun-sgoiltean a-mhàin ath-ghluasad cànain a chaidh a sgriosadh an aona-ghnothaich. Monoglot sounds like a pejorative word, implying clear inferiority to the superior Duoglots. Is it? All three languages are alive and spoken every day in Scotland. 6. French – the first tongue of the Bruce and Mary Queen of Scots and Bonnie Prince Charlie. You can also add all the other recent languages which post-imperial Scotland has given a home. You’re a mixtie-maxtie mingster mashlum o leids, and that’s a fact. Multiglot is cool. Weave your languages and wear them like a tartan, my Scottish friends. Cheers Robert. I blame the beer. Its revival has to deal with aggressive supporters of Shetlandic, a Lowland Scots-Old Norse patois, who maintain that is more ‘authentic’. Northern Islanders are rather proud of their distinct Norse heritage but paradoxically seem to prefer the later hybrid tongue. I notice you put English first as Scotland’s chief identity. Freudian slip? Wishful thinking? Ulterior intention? The languages you mention are here because of your Reich already have a historical identity which is not Scottish. Trying to make it so would be against the rights of their speakers. They are part of our society but not of the fabric of our root identity. The language that’s most true of is English, which “was never spoken”, to quote the anti-Gaelic people, in the Highlands, and is only there because of genocidal Clearances followed up with the Lebensraum and Lebensborn policies of your Nazi kith and kin. In my experience English people learn Gaelic, as they’ve learned Manx, to make it something English. Language is about much more than just language. It and identity, and identity rights, are not necessarily equivalent. Or can we expect you, or any Anglo-Saxon in England, to start learning Urdu soon, old boy? Or Polish, or Romanian, or Bulgarian? Why not weave all four into the fabric of your the flag of St. George waved by the EDL? That wouldn’t submerge the English identity either, would it? After you, old bean, and Wes Heil. Hi Ian, I listed the languages of Scotland, not the identities. Scottish would clearly come top of identities according to various surveys and my own experience. I love Scotland in all its diversity. I’m also a Briton who has learned Welsh as a second language, an a’m no bad at Scots an aw, efter warkin in Fife a whiley, an readin masel tae an unnerstaunnin o poets like MacDiarmid an Souter. Ah’m mebbe an auld yin, hooiver. 63! Tempus fugit! An excellent article which reminds me of a dear friend and classmate who desperately wanted to learn Gaelic but back in the 50’s was not available in West Central Scotland. But that didn’t deter her, she learned Gaelic while taking her degree at Glasgow Uni and became a modern language teacher and Gaelic teacher in our old school and I was proud of her. I’m also reminded of my regular trips to the West of Ireland where in the ‘Gaeltacht’ Irish holds sway just as it does in the Western Isles. The ‘Snail’ or should it be ‘slug’ need to be reminded that both Scottish and Irish Gaelic are recognised languages in the EU. It’s every conqueror’s aim to expunge the culture, language, and history of the conquered. Unfortunately they still consider Scots to be the beaten and subservient nation and it is sad to note that a large number of Scots side with the victors in wanting to see the end of our culture. The Anglophone nations have done the same all over the world in Australia, New Zealand, Canada, the Continent of Africa and America, snuffing out the indigenous languages in those regions, leaving them with only a faint hint of the mores and customs that once existed, the faint hint being the ones that are no threat or that they think quaint and harmless, like refined Scottish country dancing, as once was displayed in the White Heather Club. Language is in a completely different category. Anglophones are notoriously lazy in learning any language other than English and someone speaking in Gaelic or Welsh could be talking about them or plotting rebellion. Maybe this is why the monoglot Unionists in Northern Ireland wish to give no succour to the Irish language. We are not victors and losers. We are a Union of Equals since the union of the parliaments, and although I have no Gaelic myself, I can get by in both Spanish and French and I want to see the precious culture in the language of an ancient nation continue and flourish. Following from one of your last comments, if the English really believed in the concept of a “United Kingdom” of several nations, peoples, languages and cultures, rather than simply a “Greater England”, then surely all the native languages, Welsh, Scots, Gàidhlig agus Gaeilge, should at least be available e.g. in education, wherever you happen to be. Hopefully an Independent Scotland can do a lot better in this regard. Which language you speak, and when, is always a political issue. I only speak enough German to order a meal. I was advised not to attempt French, which I speak well, in German-speaking Switzerland. English is more acceptable. In Catalan I have only one fluent sentence. “I don’t speak Catalan, could you please speak to me in Castilian”. By using that phrase I’m recognising the language and apologising for my inability to speak it. It goes down extremely well among Catalan speakers. Language communicates much more than the overt meaning of the words. It says who you are, where you’re from, and implies a huge amount of background culture. When a language dies a whole culture and history goes too. I support Gaelic speakers when they take pride in their language and culture. It must not be allowed to die out. I say this as a person who can sometimes decipher some of the more common Gaelic names on a map. It would be dreadful if map names became the only remnant of a vibrant culture. Destroy the culture, destroy a language and you destroy a people. My late mother in law used to recall children getting belted if they were heard speaking Ghaidhlig in the playground. If you’ve nothing better to do, have a browse through the comments to the article linked above. Tell me there’s been some shift of opinions over these past few years, if indeed there has? ANOTHER Gaelic learner presenting themselves as us. Joke. Sick of Gaelic learners. They’re not US. You just went to some evening class and are a TOTAL joke. You’re a bunch of hipsters that STOLE our language to get jobs and attention. You’re not US. Hi Pepsi and Shirley, nobody but nobody was presenting themselves as ‘US’. You are ‘sick of gaelic learners’. 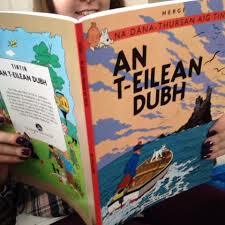 So you don’t want people to learn gaelic, is that right? Dae me’ and I just looked at him. He couldn’t understand why I did not identify with what he had said. He clearly did not understand Scotland. I’m a Highlander not a lowlander. Do you not want anyone to learn gaelic that isn’t an indigenous native gaelic speaking highlander? That way lies death. To be fair, I think there is an air of legitimate complaint in what I have heard amongst native speakers (I myself am a learner – just to frame my response below). The other week I was talking to an Argonese native speaker, who learned it from his family – they have something like 5000 actual speakers (a number further inflated by incorrect census data and semi-fluent speakers). He was really quite dejected about the future of his language. He is from the city where most native speakers come from. The only school, and soon-to-be established Argonese Academy, lie on the other side of the region. At the event we were attending, there was another speaker – a new speaker who had recently completed her PhD on the Argonese language and is helping to set up said Academy. My friend was very downtrodden to hear that on the new Academy’s board there would not be a single native speaker sitting – they were all Argonese learners of the “standard” dialect (much as we have in Gaelic where *some* learners will make fun of islanders for using English in their language, the same was the case; we need that pure never-spoken Gaelic word – (although I do accept this point is contentious)). The PhD student was also pulling a salary in the language, teaching the odd mix of standard language that native speakers would have trouble understanding. In fact, she had never been to my friend’s region in her life (something that might be considered true of many Gaelic learners not having the opportunity to meaningfully engage with the Gaelic heartlands – “oh, they don’t even speak it anymore in the islands anyway”). Anyway, my anecdotal point is that such opinions expressed by native speakers are legitimate and you can’t just tell them to shut up. We need to avoid what is termed linguistic appropriation at all costs. However, I do also feel that learners and native speakers need to be as patient as possible with each other to help bridge the gap. If we leave this gaping hole between the geographically and ideologically disparate populations of speakers, it’s not going to end well for the language. But, if I hear one more learner living in the Central Belt dismiss those damned Gaels in the islands just leaving their language to die – having never lived in the islands and being quite ignorant of the actual reality in the ground – I’m going to lose my patience. That being said, that’s not what has happened here. Misneachd is composed *mostly* of learners (who I laud and believe have a part to play in the development of the language) and they do have a degree of understanding of what it is like to speak Gaelic in a modern Scotland. What they may lack is the true understanding of that generational grinding down that most Gaels have suffered – their parents being beaten in school, the relegation of the language to “teuchter” activities of fishing and crofting, etc. There’s a lot of hurt that’s been brought upon the *speakers* of the language (not on the language itself), and that’s where efforts should be focussed, on the healing of those indigenous communities. Without them, Gaelic is very little.